If you have any problems viewing the videos, you may want to upgrade to the latest version of Adobe Flash Player. Note that videos open in a separate window, so you may have to disable pop-up blocking to view them. Video Coverage (most recent first). Click on the image to view! 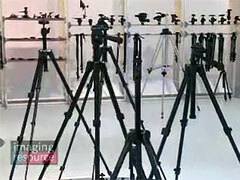 Dave Etchells interviews Will Holowka of Bogen Imaging USA, about some new tripods and lightstands from Manfrotto. 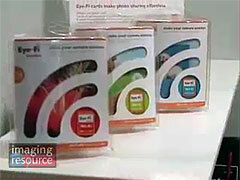 Terry Jackson shows us three new products from Op/Tech USA. Ziv Gillat shows us how the Eye-Fi SD card transmits images wirelessly to computers or internet sites from any SD compatible camera. Peter Meurrens of Lenspen demonstrates their new product at Photokina '08, the SensorKlear Loupe. 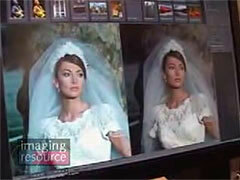 Dave Etchells interviews Drew Gardner, a professional fashion photographer, about his use of the new Capture 1 (v4.5) software, and Phase One bodies and lenses. 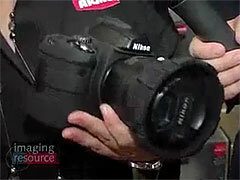 Shawn Barnett talks to Michael Hess from Tenda about their new Shootout sling bag. 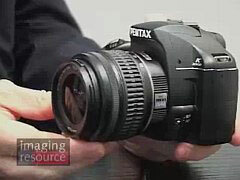 Dave Etchells talks to Ned Bunnell from Pentax about the newly announced K2000 digital SLR camera, 3 new lenses and a macro flash kit. 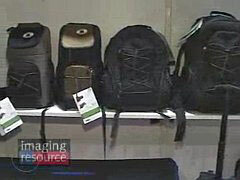 Dave Etchells talks to Deanne Fitzmaurice about Think Tank Photo's innovative camera bags. 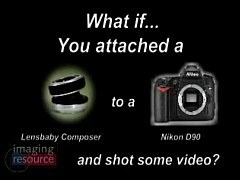 An industry first - Sam Pardue puts a Lensbaby Composer on a D90 and shoots some video! 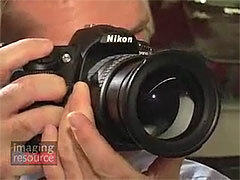 Dave Etchells interviews Wolfgang G�ddertz of Nikon's Consumer Products Division about the D90. 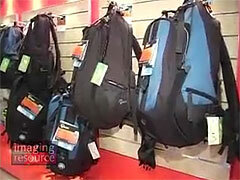 Shawn Barnett interviews Katia Shuklin of Kata bags about their newest camera bag, the 3-in-one sling bag. 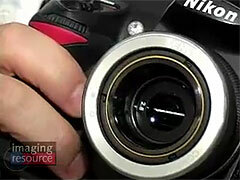 Shawn Barnett talks to Francois Pelletier of Sunex about their SuperFisheye DSLR lens with 185° field-of-view. 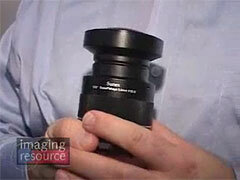 Dave Etchells interviews Sam Pardue, co-founder of Lensbaby, about their newest Lensbaby product, the Composer. 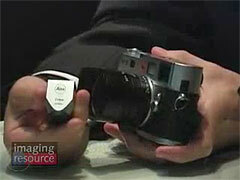 Andrew Alexander interviews Christian Erhardt of Leica, who tells us about their new C-Lux and D-Lux digital cameras. 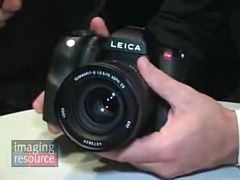 Andrew Alexander interviews Christian Erhardt of Leica, who shows us the new M8.2 and several new lenses for the Leica M system: 21mm f/1.4, 24mm f/1.4, 24mm f/3.8 and the US$10,000 50mm f/0.95 Noctilux. Dave Etchells interviews Mike Telek of Kodak, who shows us Kodak's new OLED (Organic Light-Emitting Diode) display technology. 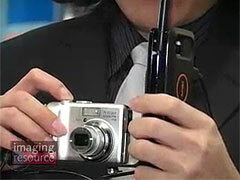 Dave Etchells interviews Calvin Wang of Hiti Digital about their new Wireless Printer connection, which works with any PictBridge-compatible digital camera. 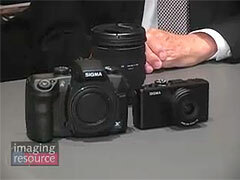 Dave Etchells interviews the CEO of Sigma Corporation, Michihiro Yamaki, about their latest product announcements: the DP2, SD15, and an updated 24-70mm f/2.8 lens. 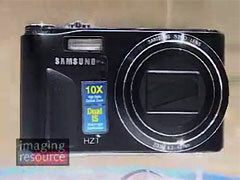 Dave Etchells interviews Richard E. Campbell about Samsung's latest camera release. 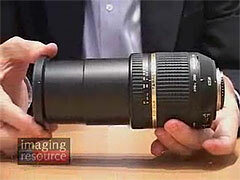 Dave Etchells interviews Greg Maniaci about Tamron's latest lenses. 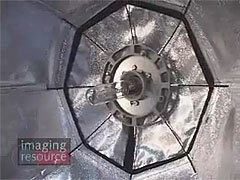 Dave Etchells talks to Gene Kester of Photoflex about their innovative lighting systems. 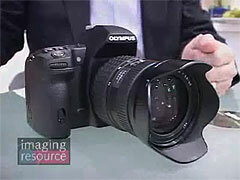 Dave Etchells talks to Sally Smith Clemens from Olympus about two concept cameras and the new Stylus 1050SW with tap control. 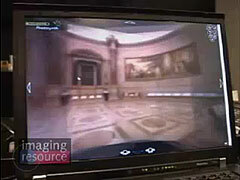 Andrew Alexander interviews Kamil Hrbàcek about his PhotoRobot, an automated solution to taking rotated product shots. 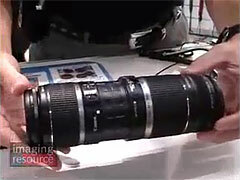 Dave Etchells interviews Michael Burnham of THK Photo Products, Inc (Tokina) about their newest lens offering, the AT-X 16.5-135mm f/3.5-5.6 DX zoom. 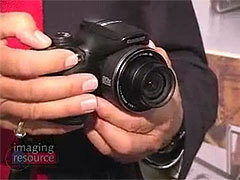 Andrew Alexander interviews Bill Heuer of Casio America, Inc. about the new high-speed EX-FH20 digicam. 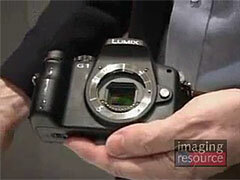 Dave Etchells talks to Panasonic about the new Micro Four Thirds Lumix G1 and G-series lenses. 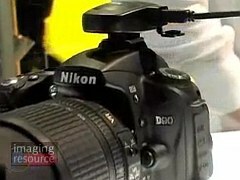 Shawn Barnett interviews Kristen Elder of Sony, who discusses the positioning of the full-frame Alpha DSLR-A900. 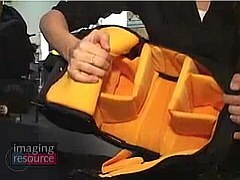 Shawn Barnett interviews Trish Shallest of Camera Armor, who demonstrates some new products. Shawn Barnett interviews Adam Croan and Kevin Crandall of Lowepro, who demonstrate the features of their new Primus and Classified series of camera bags. 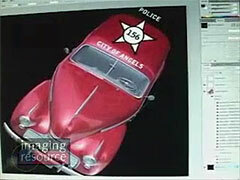 Dave Etchells talks to Bryan O'Neil Hughes about Adobe's Photoshop CS4 and CS4 Extended. 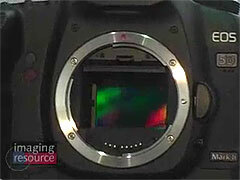 Dave Etchells walks us through some of the key features of Canon's new EOS 5D Mark II full-frame DSLR. 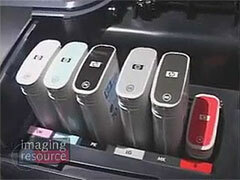 Dave Etchells talks to Ben Wolf from HP about the new HP Z3200 Professional Photo Printer. 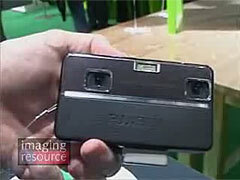 Dave Etchells talks to Mikio Wantanabe about Fujifilm's new digital camera that takes and displays 3D images. See our news article for more info. Dave Etchells talks to Joshua Edwards from Microsoft Live Labs about their new photo viewing technology Photosynth. Andrew Alexander interviews Barbara Luef of Vertus, who demonstrates version 3 of the Fluid Mask program. 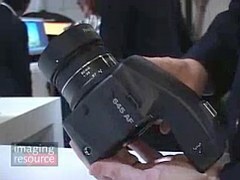 Andrew Alexander interviews Christian Ernhardt and Justin Stailey of Leica about Leica's newest camera, the S2. 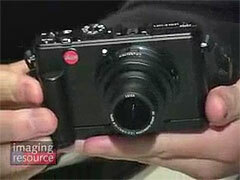 See our Leica S2 news article for more details. 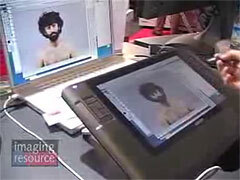 Dave Etchells talks to Eric Hyman of Bibble Labs about the soon to come Bibble 5. Eric walks Dave through some of the upgrades.